To thank you for your loyalty, we're sharing the love with discounts on the products and services you need most. Enjoy! Get a WordPress Theme especially for authors. Save up to 80% by renting textbooks. 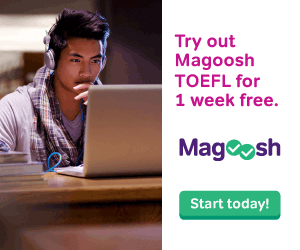 Get a free trial of the TOEFL study guide for one week. Save money on movie tickets when it is time to relax. Disclosure: If you ultimately decide to purchase a product or service mentioned on this page ("Perks"), Scribendi may receive compensation from that purchase in the form of a commission. If you purchase a product or service mentioned on Perks, you are purchasing it from the company that sells the product or service and not from Scribendi. If you need a refund or customer support, please contact the actual company that sold you the product or service. Please also see our Terms page for additional information on links to third-party products and services. Ordering is easy. Start by telling us who you are. English is not my first language. I need English editing and proofreading so that I sound like a native speaker. I need to have my journal article, dissertation, or term paper edited and proofread, or I need help with an admissions essay or proposal. I have a novel, manuscript, play, or ebook. I need editing, copy editing, proofreading, a critique of my work, or a query package. I need editing and proofreading for my white papers, reports, manuals, press releases, marketing materials, and other business documents. I need to have my essay, project, assignment, or term paper edited and proofread. I want to sound professional and to get hired. I have a resume, letter, email, or personal document that I need to have edited and proofread.